ArcGIS is Geographic Information System (GIS) Software designed to capture, store, manipulate, analyze, manage and present all types of geographically referenced data for geodatabase management applications. 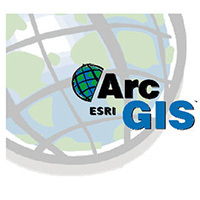 The suite of ArcGIS software includes developer products and web services. Faculty, Staff & University Departments: To download ArcGIS, you must first create an account on the ESRI customer portal at https://customers.esri.com. Students: Please email software@miami.edu with your instructor's name and class, to gain access to ArcGIS. Faculty, Staff & University Departments: The University has entered into a site license for ArcGIS. It can be downloaded onto any University owned computer. Students: The University has entered into a site license for ArcGIS. It can be downloaded onto any student machine, but must be renewed annually in terms of our agreement. Click on the link above, after filling out the create user form, it will then send you a confirmation email to activate your account. It will then ask you to fill out your information, including organization, address, etc. After you have filled out this form, the software team will receive an email and will then grant you access to download ArcGIS. It will notify you via email when your request has been granted.